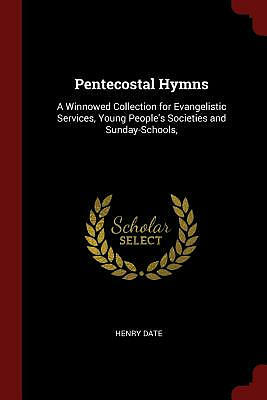 Pentecostal Hymns: A Winnowed Collection for Evangelistic Services, Young People's Societies and Sunday-Schools, by Date, Henry was published by Andesite Press in August 2017. The ISBN for Pentecostal Hymns: A Winnowed Collection for Evangelistic Services, Young People's Societies and Sunday-Schools, is 9781375516846. Be the first to review Pentecostal Hymns: A Winnowed Collection for Evangelistic Services, Young People's Societies and Sunday-Schools,! Got a question? No problem! Just click here to ask us about Pentecostal Hymns: A Winnowed Collection for Evangelistic Services, Young People's Societies and Sunday-Schools,.